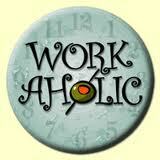 Getting consumed with work is easy to do, especially when we spend most of your waking hours working. We get caught up in exciting projects with superhuman deadlines or works under a boss who thinks 8 hour days are for sissies or maybe it’s because we just can’t say no to a request because it makes us feel important. The real issue is do you want to change? Do you want to maintain a more reasonable balance between your life and your work? If yes, here are some tips adapted from a Harvard Business Review article. Assess how much time you spend at work. You may need to put in long hours at times, but make sure you’re doing it for the right reasons. Don’t stay late to impress others or because you can’t manage your time well. If something or someone is wasting your time, get rid of it. Stop attending unnecessary meetings, limit face-time with your demanding direct report, or stop visiting distracting websites. Treat non-work time as sacred. Protect your time outside of work for your health and sanity. You will only feel refreshed if you truly disconnect and recharge. Remind yourself you’re more than your job. How much you love your job, it is a mistake to define yourself too closely to your work. Take time to reflect on what you want to achieve in life. There’s the famous line that when reflecting about your life on your deathbed, no one says that they wish they had worked more. Take the time to smell the roses. When was the last time you took a relaxed walk rather than a timed run; stopped and enjoyed watching ducks in a pond; had an evening of fun that had nothing to do with business; took you kids to the zoo for the entire day; spent a leisurely dinner with your partner? Even if these activities don’t turn you on, find ones that will. “It’s not enough to be busy, so are the ants. The question is what are we busy about?”- Henry David Thoreau. So, what are you busy about? What do you I want to accomplish in your life? What do I want to be remembered for? What’s my vision for my future? If you don’t have your own mission, get one. Otherwise you’ll be signing up for someone else’s. Readers, what are your thoughts about work and how it can take over your life? Do you have any additional recommendations for achieving work life balance?